A contracture is a fixed tightening of muscle, tendons, ligaments, or skin. It prevents normal movement of the associated body part. 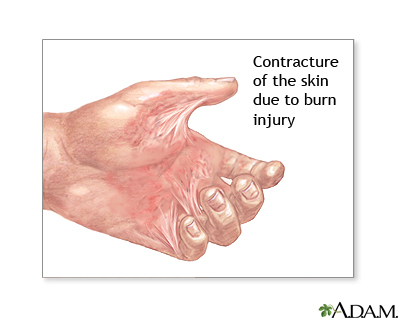 An injury such as a severe burn can cause contracture of the skin. The skin becomes scarred and nonelastic which limits the range of movement of the affected area.